Previously, on MinerBumping... Upon witnessing a righteous gank in the historic Kino system, miner Surri Ren made a startling announcement: Ganking violates the EULA! As Agent Minx Mattel moved to combat this heresy, another confused miner, Corbin Seaton, came to Surri's defense. 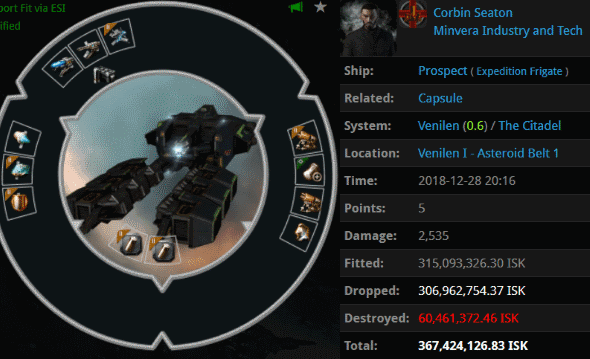 Corbin reviewed Agent Minx's killboard and was disgusted by the sight of our Agent's rookie ship losses. Just as Minx was about to explain how gankers use rookie ships to draw CONCORD between ganks, Corbin fired off another complaint. Corbin and Surri became a coordinated tag-team. They were drawn to each other by their mutual hatred of the Code. Minx could see that the two rebel miners brought out the worst in each other. They needed to be separated. 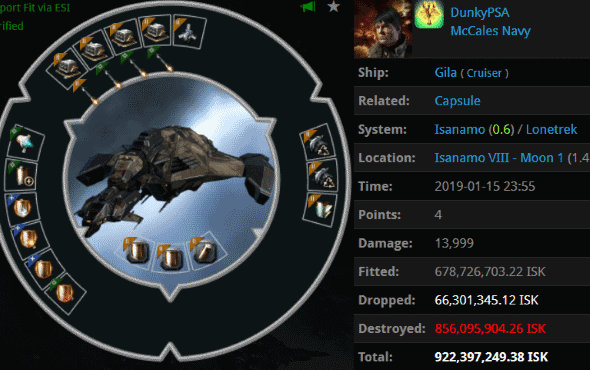 The Gila ganked in a nearby system was worth nearly a billion isk. For all their words, Corbin and Surri utterly failed to prevent the gank. Which, in fairness, made them about as effective as the entire Anti-Ganking "community" on any given day. Once again, the miners were unable to take any joy in the successful attack on a fellow carebear. It was as if they hated fun. Corbin's anger only grew. He was spiraling out of control. Minx wanted to save him and sell him a permit. Her best hope was to figure out what was causing the miner's rage. A clue was uncovered in Corbin's own killboard. Not long ago, the miner had suffered an embarrassing loss of his own. This, Minx realized, must be a major contributing factor to Corbin's dysfunction. The miner was still in denial. He pretended that the humiliating gank didn't bother him. But it did. Why else would he lash out at every ganker he saw? Our Agent understood that the miner needed time. For now, it was enough that Corbin was docked up in fear of the mighty CODE. alliance. Minx left Kino to rejoin her gank fleet. Many more carebears needed her help--and they would get it. Agent Minx is awesome! An exemplar agent if there ever was any. Kenny is what happens when miners mine all day. He's been licking the moon goo. Poor Kenny shouldn't lick moon goo. Corbin's kill board is a goofus faction module cautionary tale (https://zkillboard.com/character/2114697521/). Zkillboard hardly gives us the full picture, and people are free to fly what they want. However, no Code compliant miner will ever have to look back and see they have over 4.25 billion ISK in losses spread out over 23 ships - over 25% of which comes from just 7 ORE expanded cargoholds. Nice find! It's hard to tell if the miner should be more embarrassed about his losses or his words. LOL what a pair of joykills. It's less than a matter of "glass half empty" than "everything tastes like piss" with them. Imagine being that jaded! On the plus side, at least Ren helps keep the market stocked with Cats. I guess Kenny CHODE finally gave up. When you clean algae from glass and you here that squeeky sound, is that really just the cries from each of the algae? Miners remind me of this everytime i pop one of them, you can almost picture the little mouth of the miner flapping and a small squeek as the hull explodes. Hahaha! I'm not sure Kenny understands what salt is, or how it's harvested. But the fact that he's here shitposting daily is pure salt. Must have been a pretty blingy barge! You should have gotten a permit and followed the Code. Silly Kenny doesn't even know the difference between a game and a show.